There are several different War Memorials in Cambridge, each established at different time and with different agendas. 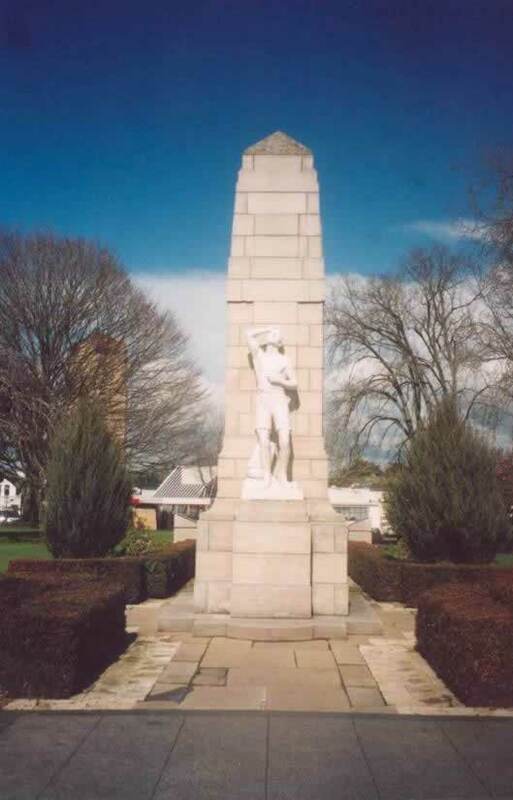 The most official of them is the Cambridge Cenotaph, but even it has a few errors on it, and inconsistencies have seemingly crept in across the board. Cambridge Museum curator Eris Parker set out to put the World War One names right on the Cenotaph, which now has a much better representation of Cambridge's dead from that war. But so far the World War Two section has not been researched enough to highlight the errors and attempt to correct them. Therefore I shall attempt to make sense of it here. 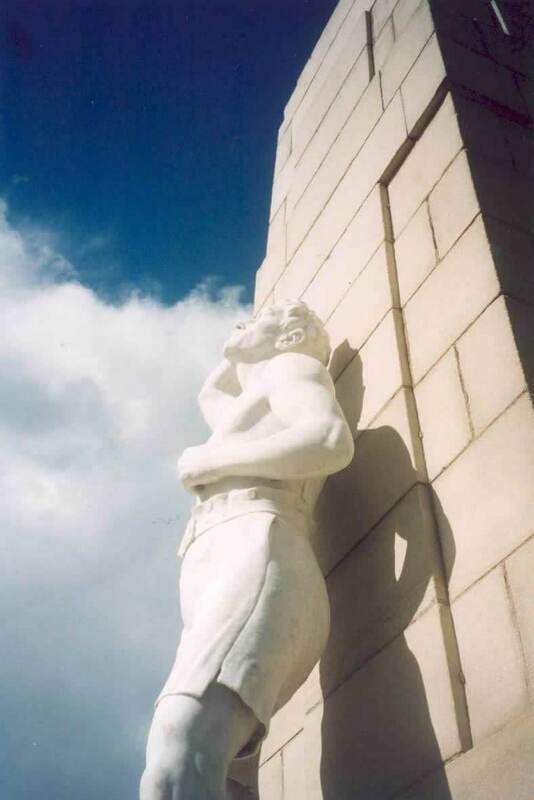 The Cambridge Cenotaph was built in 1923. It is situated right in the centre of town, in Jubilee Gardens which is the little park in front of the Cambridge Town Hall. 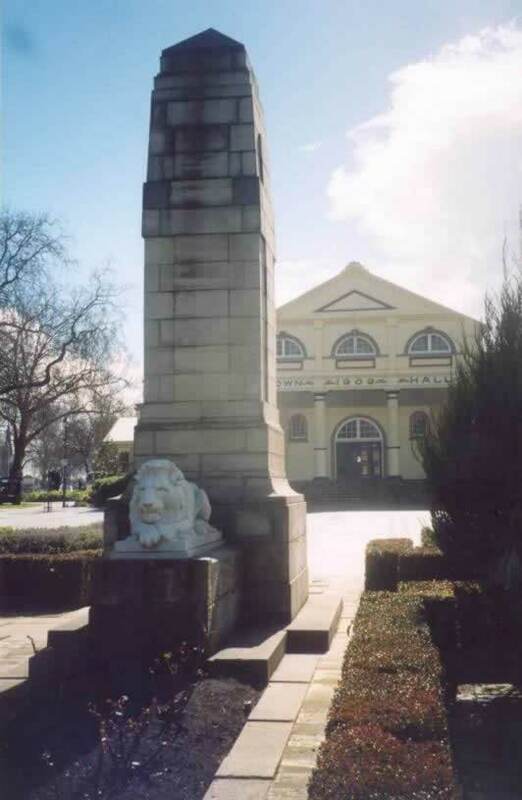 The Town Clock also stands in the gardens, and the Cenotaph is bordered by Victoria and Lake Streets. 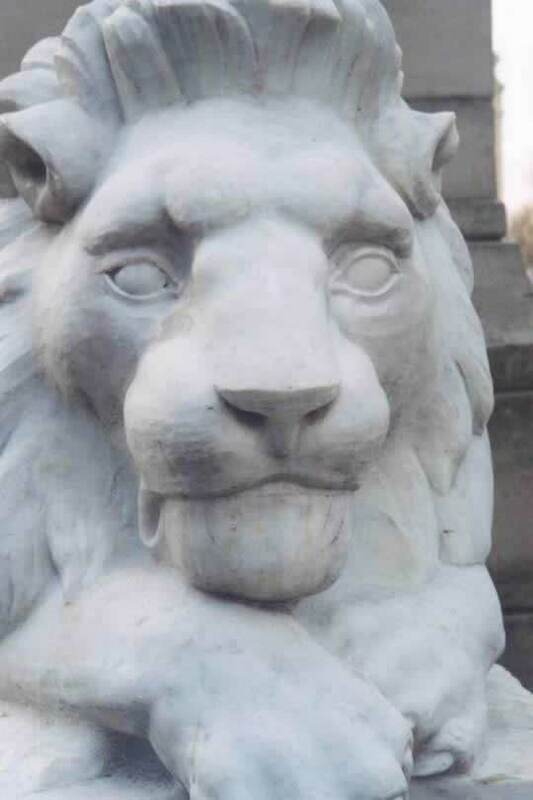 And the Lion looks upon the tablets which contain the Memorial Rolls for both World Wars. The Great War dead are in the centre, and the Second World War dead are represented on either side. The RSA club rooms, which sadly closed down for good in December 2003, had a Roll of Honour memorial board inside the main entrance. There were two sections, one for World War One and another for World War Two. 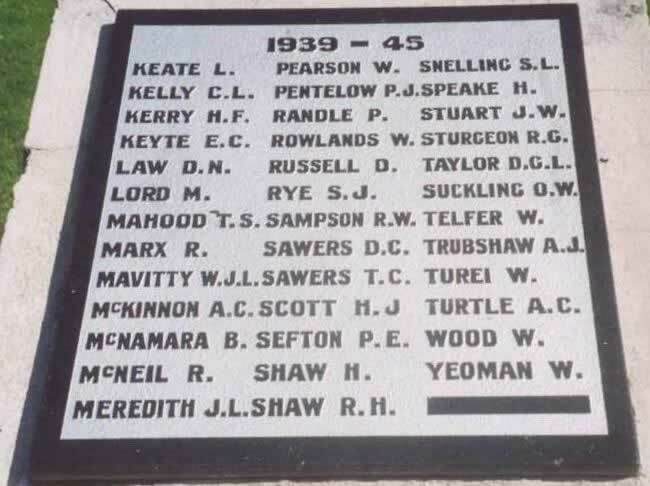 The boards were unveiled on Friday the 6th of November 1942 during the opening of the RSA clubrooms. The Waikato Independent newspaper recorded the event. The following is a transcript of the report in the paper dated 9th of November 1942. One of the most sacred and important features of the official opening of the new Soldier's Club on Friday afternoon last was the unveiling of the roll of honour by Major-General P.H. Bell, DSO. The roll contains the names of 74 men of the Great War and 35 men of the present war, who have made the supreme sacrifice for the Empire. 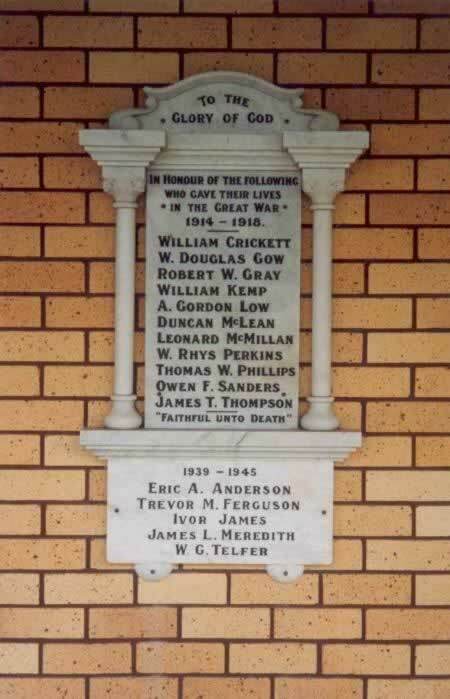 The people of Cambridge and the relatives can rest assured that those men will never be forgotten so long as there is a Returned Service's Association in Cambridge. 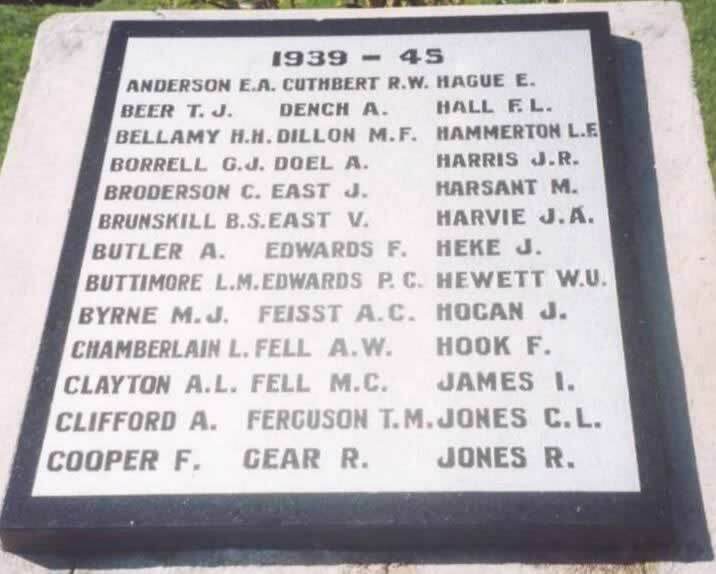 Of course sadly more names were to be added to the World War Two list as the war progressed. The boards are now proudly displayed in the Military Room of the Cambridge Museum since the Cambridge RSA's closure in 2004. This is a wall and gate with Rolls of Honour of Cambridge men who gave their lives in for World Wars One and Two, and the Boer War. 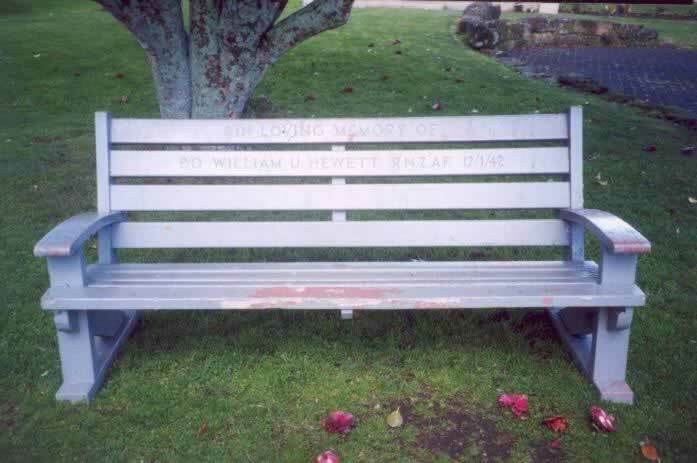 It is situated in the Returned Services Association Lawn Cemetery, Hautapu. 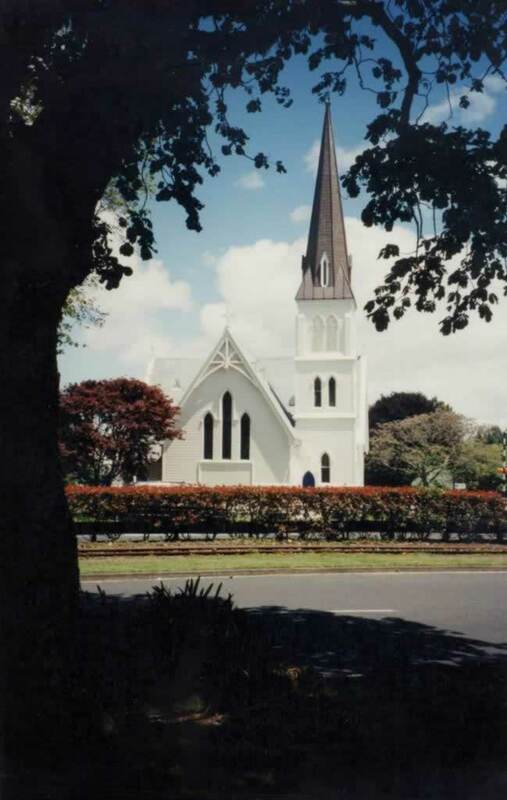 St Andrew's Anglican Church, which can be found on the corner of Hamilton Road and Victoria Street (known locally as 'Church of England corner') is a regimental church. It has a stunning War Memorial inside in the form of beautiful stained-glass windows. One set depicts New Zealanders landing at Gallipoli (our first WWI battle) and New Zealanders storming the walls at Le Quesnoy, France (our last WWI battle). Also one panel depicts a soldier kneeling at the foot of the crucifix. 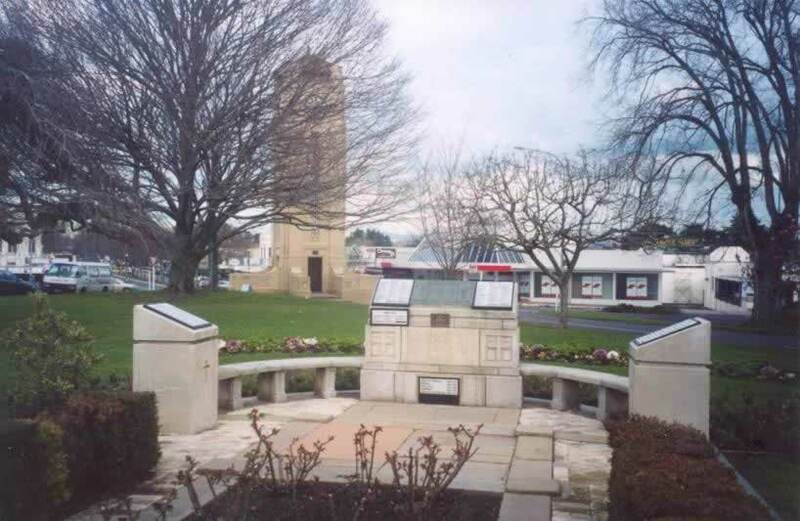 The other window set remembers World War Two, and there is a panel for each service, the Royal New Zealand Navy, the New Zealand Army and the Royal New Zealand Air Force. 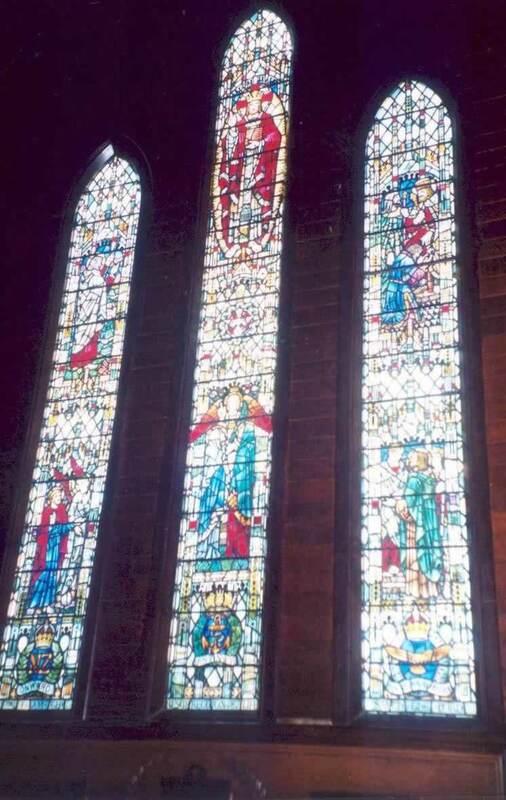 This window is seen below, note the crests of each service at the bottom of each panel. 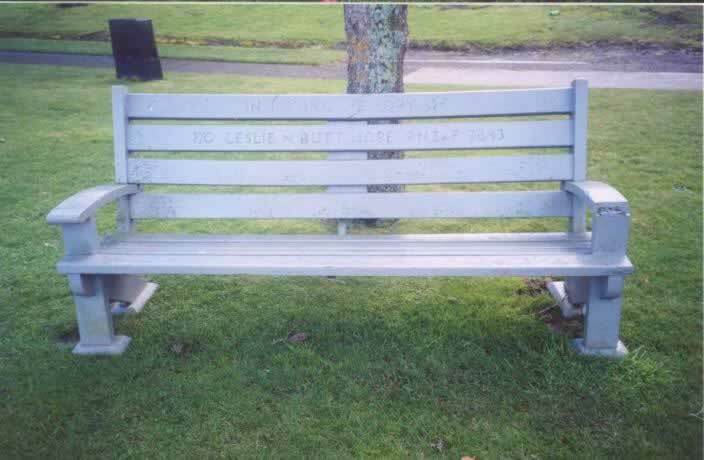 In the grounds of St Andrew's Church there are two memorial seats, presented to the church by the families of two airmen who were killed during the Second World War, Leslie Buttimore and Bill Hewett. A couple of memorial rolls appear on the exterior wall of Trinity St Paul's Union Church on the corner of Queen and Bryce Streets. This church is combined with the Presbyterian s , and I believe the rolls came from the old Methodist Chapel, which once stood at this place. The Presbyterian Church was in Victoria Street (it is now a craft shop, opposite St Andrew's Church). The rolls only seem to contain names of people who were Methodist, but it includes three Cambridge airmen from World War Two; Ivor James, Jimmy Meredith and William Telfer.